In a traditional server-rendered app you might not have a single main entry point. Rather you have a different main for each page. We call this a multi-main project. With steal you can use a different main for each page in your application. With steal-tools you can create a build that puts all of these mains into their own modules. Multi-main app use the same APIs to build as single page apps. steal-tools build the CLI API. Additionally see StealConfig about how main can be an Array (which it will be in a multi-main app). This section explains how to set up a multi-main build. For an example app, check out this gist. Notice here that there is a bit of duplication. 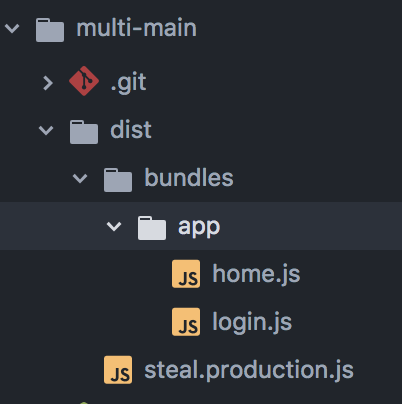 Because each of these bundles is an entry point it needs to contain everything needed to configure itself, which will include the npm plugin.